A group of local men, UNFPA representatives and statisticians discuss the country's upcoming census under the shade of the baobab tree. BUYU, Zanzibar — In this picturesque village on the outskirts of Zanzibar Town, UNFPA programme officers joined colleagues from the Office of the Chief Statistician in Zanzibar to learn more about the pilot census exercise under way. The pilot aimed to validate long-form questionnaires developed in the run-up to the 2012 census, which begins in late August in Tanzania, a country of 43 million people of which Zanzibar is an autonomous region. UNFPA is the main international partner for the census through its financial contributions, technical help and recruitment of consultants. In addition, Britain’s Department for International Development donated about $15 million in equipment and other resources through UNFPA. ‘Buyu’ is the Kiswahili word for the fruit of the baobab tree, which is known throughout Africa as a meeting point. So it was no surprise that when the programme officers and statisticians came into the village, a small group of fishermen was sitting beneath a big baobab tree, escaping the scorching midday sun and enjoying the cool breeze from the Indian Ocean. After exchanging ‘salaams’, everyone sat down. Some of the men had been interviewed by a census enumerator already, and others were scheduled to be interviewed that afternoon using a long, comprehensive questionnaire. Tanzania has 30 regions, of which 11 are covered in the pilot. The men under the buyu were well versed about the value of the census. As one elderly kinsman said: “When I was counted ten years ago, I had six children. These children need health services, they need to go to school, and they need to eat. If I wouldn’t have told the interviewers how many children I had, they would have not been counted when the government planned for schools or hospitals. Two regions in Zanzibar were chosen for the pilot: Unguja West and Pemba Michiweni. With 53 questions, the survey covers such issues as migration patterns, as in the case of fishermen who move from dwelling to dwelling for their occupation. The UNFPA and statistician tour also came across people in Buyu speaking Sukuma, the language of western Tanzania, on the mainland, thousands of kilometers away. 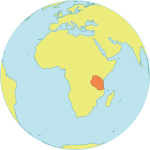 (Kiswahili is the national language of Zanzibar.) While there is a high influx of people to the island, but current statistics do not capture those who are not registered. l But knowing that they have settled on the island and what they are doing will be vital for the government in planning for public services. The new questions help determine the pace and character of population growth and development, revealing not only trends but also critical information about existing policies and programmes for maternal health and family planning—data that programme officers and policymakers thrive on.